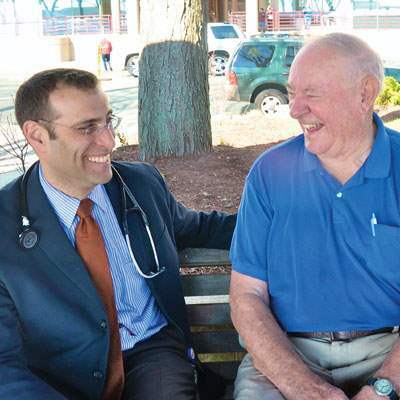 Eric Weil, MD speaks to patient. Partners is set to participate in an initiative to help improve care and reduce costs within Massachusetts’ Medicaid program. In March 2018, Partners will launch Partners HealthCare Choice as part of the new MassHealth Accountable Care Organization (ACO) program, which aims to shift provider reimbursements from a fee-for-service model to an accountable care model.